The future of the USA blueline is strong as another American defender finds his name high on Central Scouting’s Midterm Rankings. 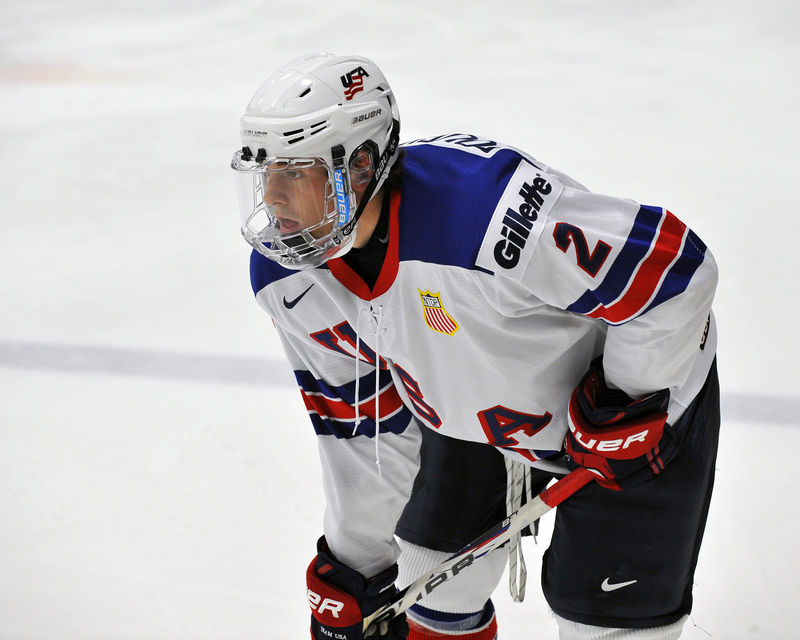 Dougherty is currently playing in his first season with the National Team Development Program and is doing well, playing the role of a two-way defender. In 35 games this season, he has found the back of the net five times and added eight assists. A versatile defender, capable of playing in all situations, Dougherty possesses good offensive instincts. With great vision, he makes a good first pass but is also working on improving his point shot to compliment his strong wrister. Attending the University of Wisconsin in the fall, the talented defender also hopes to transition into the role of the power play QB. A solid skater with good mobility, he gets to where he needs to be on the ice. Dougherty is an intelligent defender, but also has a bit of a physical side to his game. Versatility and ability in each responsibility are key for this young defender. Still a developing prospect, but the upside is there.